CCCC operates a comprehensive Handicapping system, based on records of previous results to determine which grade a rider will race. The intention of handicapping is to allow all riders the opportunity to compete in a race which suits their experience, ability and normal fitness level, while maintaining the safety of all competitors. On race day, no changes can be considered to a rider’s allocated grade due to the number of riders we need to process in the short period of time before each race. 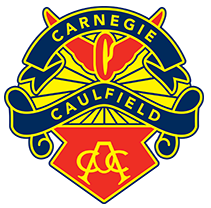 Riders who believe they are no longer competitive in their current grade, or should be considered for promotion, should write to or email the Chief Handicapper, CarnegieHandicapping@gmail.com outlining their case a couple of days ahead of time. Promotions are earned based on results at CCCC events. While consideration may be given to places at other events, it is your ability to handle the racing at CCCC that is of primary importance. To ensure the highest levels of safety are maintained the Handicapper will use their discretion based on what they have witnessed themselves and on input sought from marshals and other experienced riders in the peleton as well as a riders race results to determine a riders appropriate grade. A Grade – average speeds generally above 43kmh . Suits – strong and very experienced riders. Excellent cornering and bunch riding skills are required. B Grade – average speeds are generally around 40kmh. Suits – strong and experienced riders. 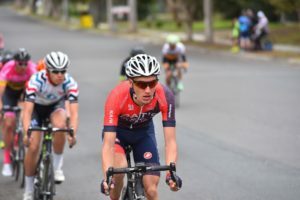 B Grade riders have generally accumulated a number of top four places in C grade competition and should have very good bunch riding skills and understanding of race tactics and etiquette. Suits – riders with some bunch riding experience. C Grade fields often comprise a mix of experienced racers, newer riders from a triathlon or MTB background, and riders who have moved up from D Grade after achieving a number of places over a season, as well as riders who have too much strength for the D Grade race to provide them with meaningful competition. Strong riders will often move very quickly into B Grade. Suits – experienced riders who do not have the strength or fitness to compete in a higher grade, and new or younger competitors aiming to build experience and strength. Suits – new senior riders with no bunch riding experience, and junior riders without the strength or fitness to race at a higher level. At least half of each session is run at a moderate speed that allows Tokyo Olympian Mick Hollingworth and his team of mentors to teach the basics of crit racing: bunch riding, cornering and working turns. In the closing stages of each session, Mick will increase the speed to allow the more confident riders to tackle attacking and sprinting. Senior riders will generally not be allowed to sprint against juniors, and once senior riders have shown they have gained the necessary skills and confidence the will be invited to join the D Grade bunch.